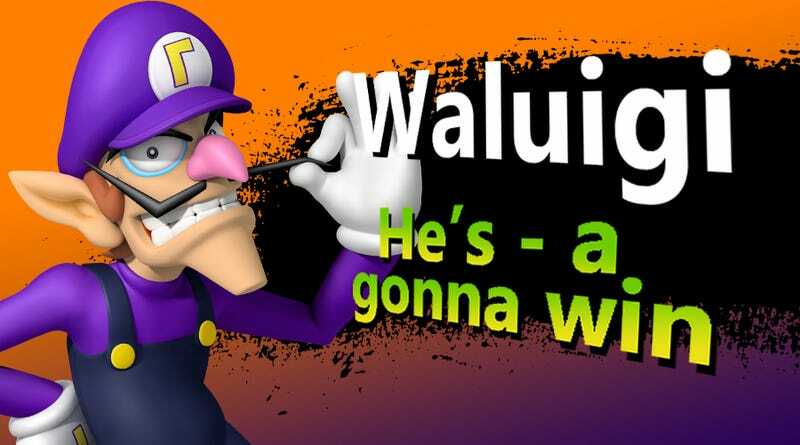 In an ideal world I would be playing Smash now as Waluigi while training up my Waluigi Amiibo to unbeatable strength. I'd be playing 2 vs 2 battles with Mario & Luigi and Wario & Waluigi. All I can do is dream, and make Photoshop mock-ups of those dreams.